Family Books. Yes, these books will have amazing, captivating family photos. First create an adorable cover, and add your personal touch as you add photos to your family book. Capture these unforgettable moments. 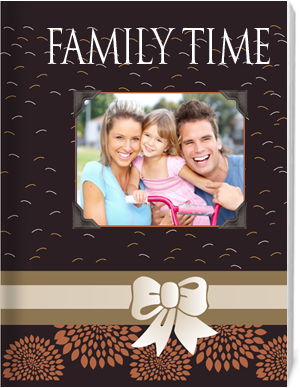 Family books are great for new arrivals, family reunions, family trips, or pet books. Start creating your family photo books! Create a photobook for the arrival of a new baby is a perfect occasion for a quality photo book from PhotoGalley. Celebrate this joyous arrival. You may also want a family reunion photo book. Compile your photos from the event into a stunning photo book and send copies to those who attended the reunion. These gifts are always appreciated from family reunions or family trips. Preserve the memories of a special family trip with a personalized family vacation album. Create a timeless keepsake of your family vacation. Take lots of pictures so you have many, many choices when creating your photobook. Pet photobook ideas. Create a photobook for your pet. Pay tribute to that special member of your family, your dog charley or smokey the cat. Add his photos and some of our clipart with captions of what the pet was thinking into the photo. Make your pet a photobook today! Nothing is better to show your family value than a photo book!